What is the purpose of nationals? I believe the purpose should be the "convention." That's the part I value most. However, I doubt that purpose can be achieved without having some serious competition as the backdrop. For the event to be successful I believe it needs to be a strict competition for the very best designed to crown a champion or a wide open Festival that welcomes everybody who is interested. When you try to do both you are going to make compromises at which point neither goal is fully achieved. I votrd for competition but actually I would be just as happy with Festival. One or the other but not both. At one time, 55+ years ago, the US Nationals was the premier tournament in the world. on a Nationals back then. I am with @horton on this one. It needs to be either an elite event where it crowns the best of the best, or it needs to be a festival. I would think that the manufacturers would prefer the festival event over the elite event. To be honest, we aren't the people that spend money at nationals. @Triplett for sure. A big ability based festival would be the best thing for the industry. Lots of skiers and lots of divisions and lots of champions. It is not how the sport has been run historically (and it makes me a little nauseous) but maybe it would be the best thing for the sport. If it feels a little uncomfortable that means your out of your comfort zone. What that is is real change. Real change is a little scary. That's why most people never do. If it is a festival, is it important that there be some Pro Event going on at the same time? It's gotta be cool enough for those who don't win or have a chance at winning to want to spend the money/time to travel and participate. The contenders will show up...what's in it for the rest? I qualified for the bench press world tourney in Vegas in 2008 and didn't go. Won state and set a regional record but had no chance at placement at worlds...so I could spend on airfare, hotel, meals etc or I could train in the gym and spend time with my family on the same weekend. Skiing is not that different...what is the draw to the qualifiers who are not likely to place vs. skiing at home, saving $, and seeing their family which is hard enough at times with a busy job? The draw beyond simply a top level ski competition is what needs figuring out. What is attractive enough to get it done? I don't have the answer...but feel these questions are important if the goal is a "big" nationals. As for time and money? 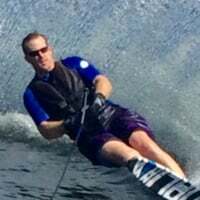 There are a million uses for every second and every penny and for anyone limited by salary or time off I think it is a pretty easy choice to spend a day at the lake with friends/family than to use those resources for a national tournament that as a community we can't even agree on what it should be. Nationals honestly feels more like a side note to the season to me rather than a conclusion. 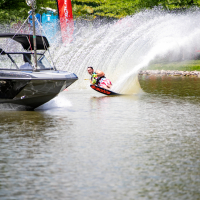 The hype in the waterski world is around the pro tour events, the big pro ams, and a couple of popular amateur events at few iconic sites. The argument FOR is always "see how you stack up against the nation", guess what, I have a rankings list for that. Follow up "but that's an average, this is 'who shows up that day'". So? Why do I care if I was better today than some guy from California who I've never met? I'll take the local events where I know the people I'm skiing with and can just chill out by the shoreline or at the dock any day. Please send me my Almost Decided To Go To Nationals trophy! I agree with @RazorRoss3, nationals isnt really a cap on the season for me. To @horton's seemingly missed point, yes, a pro tournament would need to be accompanying the festival to make sense. @OB1 you hit the nail on the head because it's a combo of both. Time is a limiting factor and to average joes it's hard make sense of a tournament that burns so much of it. Possible that creating either a more exclusive (literally just the best where all competitors have good odds at a podium if they bring their game) or inclusive (literally open to all and just let everyone have some fun) model would create more interest but until nationals can make an argument that it is a good choice of how to spend limited time it will continue to struggle. All of that said, I'm a level 8 so if I go to regionals I qualify and if I'm skiing like I should be at Nats time I plan on attending this year. I don't understand why it "needs to be either an elite event where it crowns the best of the best, or it needs to be a festival." Why can't it be both? I can't seem to see the reasoning here. Just because a festival is going on doesn't mean there can't be serious competition also. Every Nationals I have been to the skiing for the win seemed extremely good and very serious in every event I watched, the Open Men's particularly. Not sure how the mid-pack and bottom pack skiers degraded the top skiing. Quite sure how those lesser skiers contributed to the event though, great bunch of skiers interacting with other skiers they never otherwise would meet, volume to bring vendors, more money to sponsoring club and community.